IF YOU are in or near Limerick and are interested in theatre generally or Sean O’Casey in particular, then a new staging of The Plough and The Stars should be worth seeing. The Lime Tree Theatre, Mary Immaculate College, Limerick, will present The Abbey Theatre production of O’Casey’s The Plough and The Stars from Tuesday October 30 to Saturday November 3 at 8pm, with matinees on Wednesday 31 and Saturday 3 at 2.30pm. 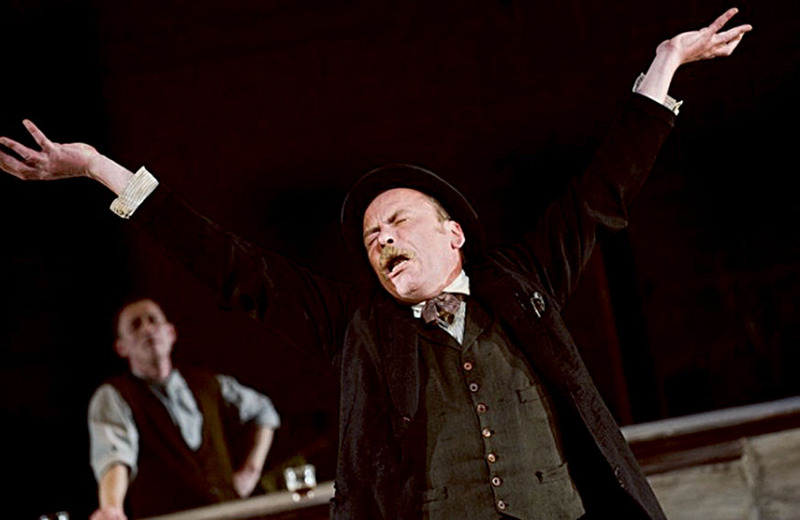 Set in a tenement house, against the backdrop of the 1916 Easter Rising, The Plough and The Stars centres on Jack and Nora Clitheroe. They are “like two turtle doves always billing and cooing”, much to the ridicule of their neighbours. However when Ireland calls, Jack must choose between love for his wife and duty to his country. The cast is Kate Brennan, Kelly Campbell, Dara Devaney, Mark Fitzgerald, Tony Flynn, Gavin Fullam, Joe Hanley, Keith Hanna, Laurence Kinlan, Frankie McCafferty, Gillian McCarthy, Deirdre Molloy, Roxanna NicLiam, Karl Quinn, Gabrielle Reidy, and Barry Ward. The director is Wayne Jordan. Tickets are €30/22 and €16 for a matinee and are available from www.limetreetheatre.ie and 061 - 774774.